This installation is curated by Senior Curator of Contemporary Art Kristen Hileman. Moon Dust (Apollo 17) is on extended loan from the collection of Joanne Gold and Andrew Stern, who are generously sponsoring its presentation at the BMA. Image: Spencer Finch. Moon Dust (Apollo 17). 2009. Installation view at The Baltimore Museum of Art. Collection of Joanne Gold and Andrew Stern. © Spencer Finch, Courtesy the artist and Galerie Nordenhake Berlin/Stockholm. Photography by Mitro Hood. 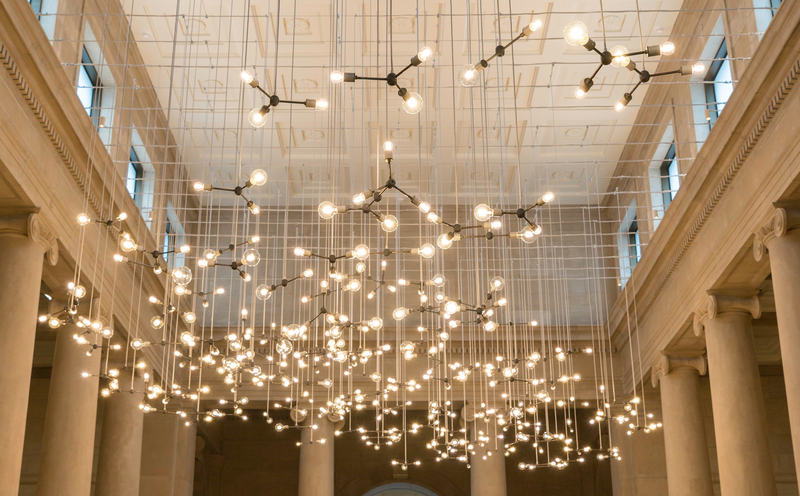 Spencer Finch’s impressive light installation Moon Dust (Apollo 17), first presented at the 2009 Venice Biennale, will illuminate the BMA’s majestic Fox Court for the next seven years.